Haven't ordered your holiday cards? You still have time to do so and save! Right now at Walgreens you can save 50% OFF Everything Photo when you use coupon code LETITSNOW at checkout. Offer valid thru Tues., Dec. 13, 2016! I choose in-store pick up to save on shipping! I am loving these fun socks! Right now get 9 Pairs Frenchic Women's Hip, Funky and Cool Knee-High Socks for only $16.99 (Retail $59.99)! Shipping is Free on this deal! 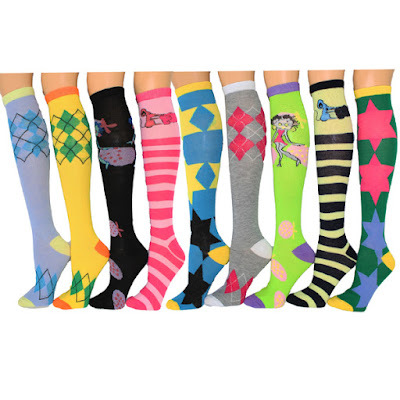 Brighten your days with a 9-pack of cheerful and comfortable knee-high socks! Sweet and fun colors will keep your feet happy. This weekend only, Starbucks is beating its Cyber Monday sale to host its best discount of the year. Get 30% off automatically in cart on orders of everything from coffee and tea to drinkware and brewing equipment. Right now you can get this Disney Princess Rapunzel's Royal Ribbon Salon for ONLY $12.16 (Retail $29.99)! 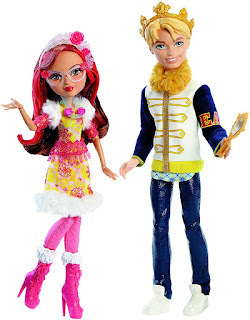 -Includes doll, outfit, brush, salon chair, spinner, 5 hair clips, base, and 8 ribbons. 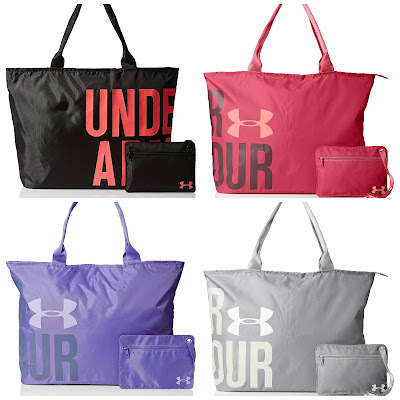 Right now you can get this Under Armour Big Wordmark Tote for ONLY $14.99 (Retail $29.99)! There are currently 4 colors available at this price. 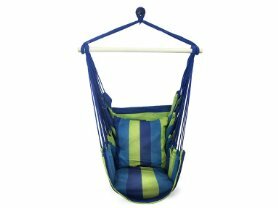 Check out this Hanging Rope Hammock Chair Swing Seat Blue for ONLY $27.99 (Retail $79.99). Swing into summer with Sorbus® Hanging Rope Hammock Chair Swing Seat! This comfortable and trendy hammock swing is the perfect addition to any indoor or outdoor space. Hammock swing is paired with back support and two seat cushions for optimal relaxation. It is made of sturdy cotton and polyester fabric which can be machine washed. This is a great piece for stylish outside lounging or to accent a child's bedroom. Hammock can be hung anywhere and holds up to 265 pounds. -Holds up to 265 lbs. Amazon is offering Up to 35% Off NFL and NCAA Giftables $3.49 - $49.99. You'll find sweates, scarves, wallets and more! Browse around for your favorite! WOW!! Here's a deal worth NOT missing! Carter's is offering Buy ONE Tee, Get TWO FREE! Have other shopping today? Take an Extra 25% off your $40 purchase with code BELIEVE at check out. Excludes Doorbusters and Clearance Items. Today ONLY - Amazon is offering Up to 60% On Year-Round Gifts from Coleman $9.29 - $141.99! 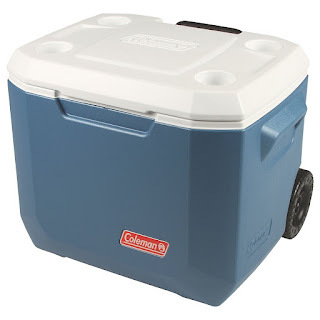 What a perfect time to grab this Coleman 50 Quart Xtreme Wheeled Cooler ONLY $34.99 (Retail $45.99). Ending today - Yankee Candle is offering 50% Off ALL Candles + Car &amp; Home Fragrances. Browse around for your favorite gifts. I'm loving these Open Front Cardigans for $27.99 (Retail $46)! A comfy, cozy, AND cute cardigan is a must have for everyone! Whether you need a light sweater to run your kids to the bus stop, or something to stay warm in the office during a busy work day, this cardigan is your perfect match! And in so many perfect colors, you can have one to match every outfit! "I'm So Freaking Cold" Hoodie $24.99 (Retail $49.99). 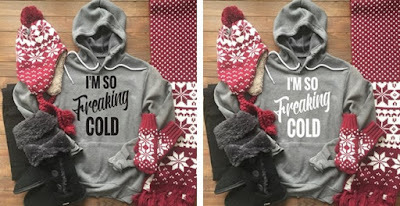 Check out this I'm So Freaking Cold Hoodie for $24.99 (Retail $49.99). This is our favorite hoodie. Super Soft and comfortable! Stay warm when it's so freaking cold! Perfect for freezing days when you have to go outside. Athletic heather grey with your choice of white or black ink. Shipping: $4.99 per item. US only. Estimated to ship by Tue, Dec 27. So long maids-a-milking. Hello maids-a-walking, running, spinning, kicking, lifting, planking, lunging, jumping, dancing, and downward dogging. There are so many ways to stay fit and have fun today, but to perform your best you need the right gear. Today's deals in fitness and activity are perfect for anyone that loves to sweat up a storm in any season. Namaste. Enjoying 12 Days of Deals? There's more! Each day we're bringing you a chance to win items for yourself, or your friends and family. Simply enter the sweepstakes today for your chance to win a Fitbit Flex Wireless Activity + Sleep Wristband, Natural Fitness Hot Yoga Kit, or Pulse Performance GRT-11 Electric Scooter, and keep checking back daily for more fun prizes!